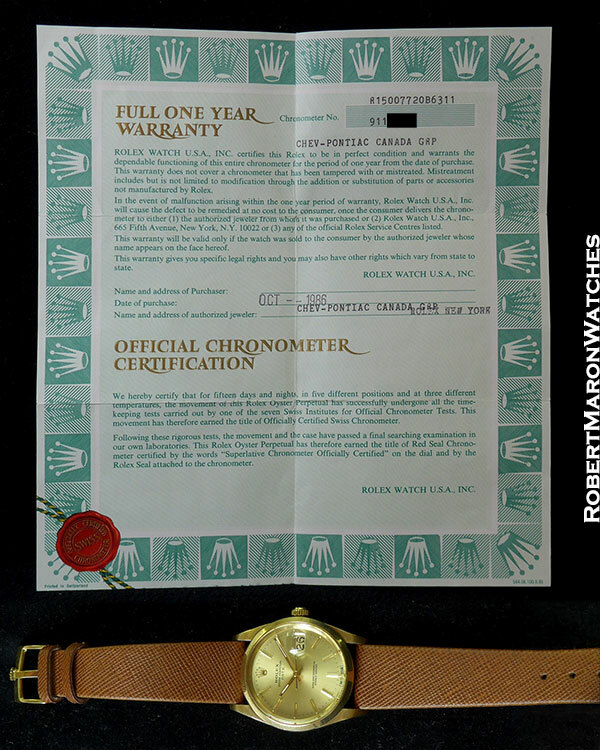 This watch was purchased in 1986, as shown on the papers, directly from Rolex New York by “CHEV-PONTIAC CANADA GRP”. 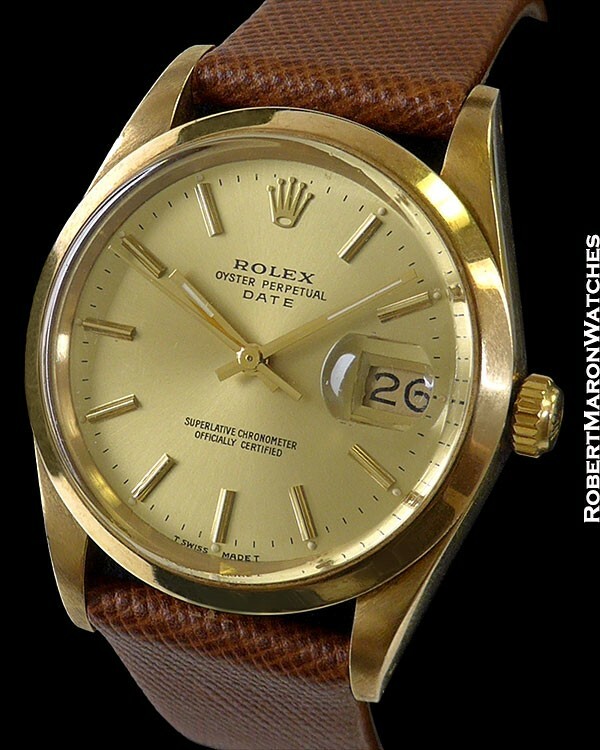 Original 14k gold case measures 34mm in diameter by 12.8mm thick. Bezel is smooth. Screw down crown works perfectly. Plastic crystal is pristine. Case back is engraved with Chevrolet logo. Original dial is champagne with applied hour markers, date at 3 o’clock, and original hands. 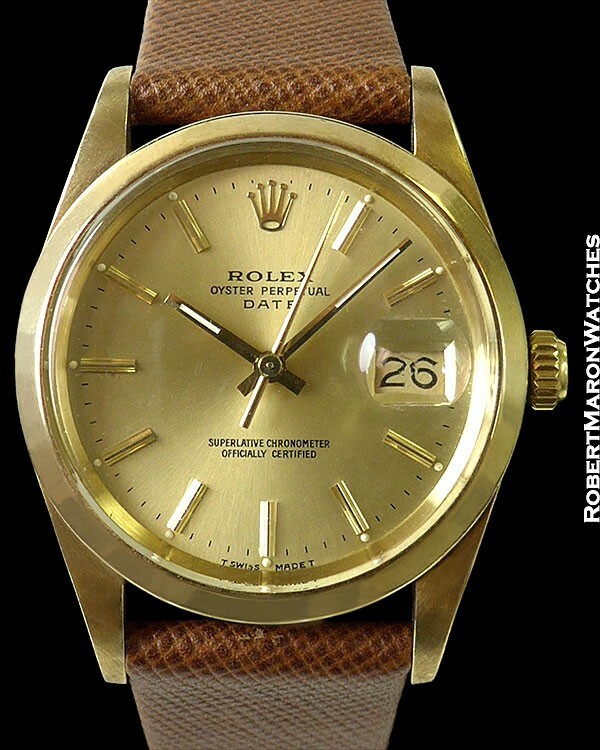 Movement is the automatic winding Rolex Caliber 3035 with quick-set date and C.O.S.C. Chronometer certification. Movement is running great. New custom strap which flatters the watch nicely. 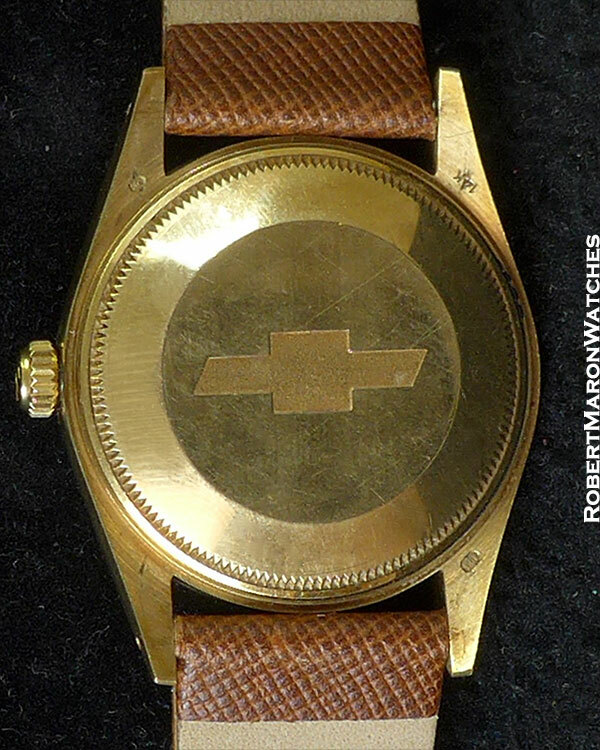 This collectable Chevrolet Pontiac presentation Rolex will be delivered with original Rolex box, hang tag and papers.